‘Ride Along’ Director Re-Teaming with Hart for ‘Black Phantom’!!! 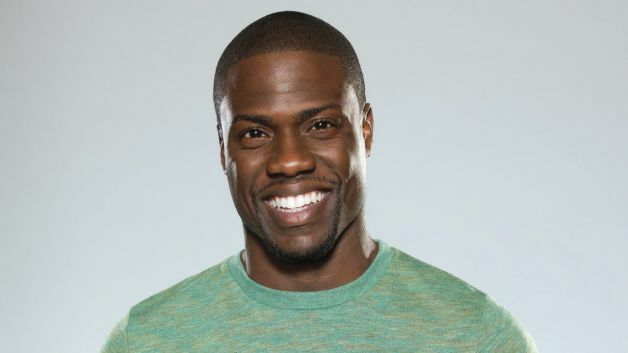 I think Kevin Hart is trying to break a record for being involved in the most flicks going at one time. With 10 projects , at the moment, in various stages of completion, he is adding one more to the pile of future projects. He has signed on to star in ‘Ride Along 2‘ after the success of the original when it was released in January of this year. Hart and his ‘Ride Along‘ director, Tim Story (‘Barbershop‘), have been approached to work together on another film, ‘Black Phantom‘. Hart is a veteran funny-man that makes every role his own. Be it small screen of silver screen, if he’s involved, it’s going to be great. I loved the movie ‘Death at a Funeral‘ and watching Hart play the confused undertaker delivering the wrong body started that pic out on the right foot. He pops up in places that are entirely unexpected, too. Like when he had a guest spot in 2 episodes of ‘Modern Family’s‘ 2012 season as Andre. Then there are the places you expect him to be, playing himself in ‘This is the End‘. This will reteam, not only Hart and Story from ‘Ride Along‘, but producer Will Packer, too. While the combined success of these three film veterans would make an impressive film with an unknown cast, there is another player that has been added to the mix that will ensure big bucks at the theater. Jamie Foxx is set to join Hart on screen. This turned what would be an awesome movie, into what will surely be an amazing movie. Jamie Foxx has two nominations for an Academy Award and won for his rendition of the troubled but extremely talented Ray Charles in 2004’s biopic ‘Ray‘. In 2006 he let us see his musical ability again with ‘Dreamgirls‘ the same film that cemented the rising star power of Jennifer Hudson. 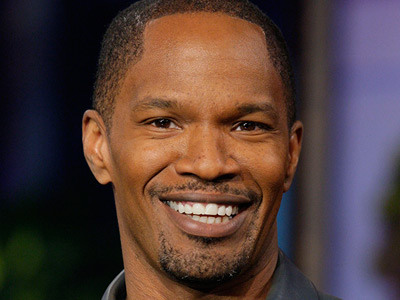 Foxx has proven time and again that he can be cast as supporting cast or lead in any genre of film, from comedy to drama to musical and shine in the given role. ‘Black Phantom‘ follows a double-crossed mob hitman who enlists the help of the Black Phantom, the same hitman who had been sent to kill him. While we don’t know which of the men is to be the double-crossed hitman and who is to be the Black Phantom, Foxx has some experience as a murder consultant when he played Dean ‘MF’ Jones in the 2011 hit ‘Horrible Bosses‘. The original script that was pitched is written by Dave Lease and Megan Hinds, both relatively new to the screenwriting world. Will Packer is set to produce the film with Will Gluck. Screen Gems president Clint Culpepper will oversee the project for the studio. A ‘Ride Along’ Sequel Is Already in the Works!! This entry was posted on Wednesday, March 12th, 2014 at 9:25 am	and is filed under Film, News. You can follow any responses to this entry through the RSS 2.0 feed. You can skip to the end and leave a response. Pinging is currently not allowed. « The Beatles Music To Feature in Animated Children’s Show!! !